Avenir Next is the recommended body font for print with Open Sans as the recommended body font for web. 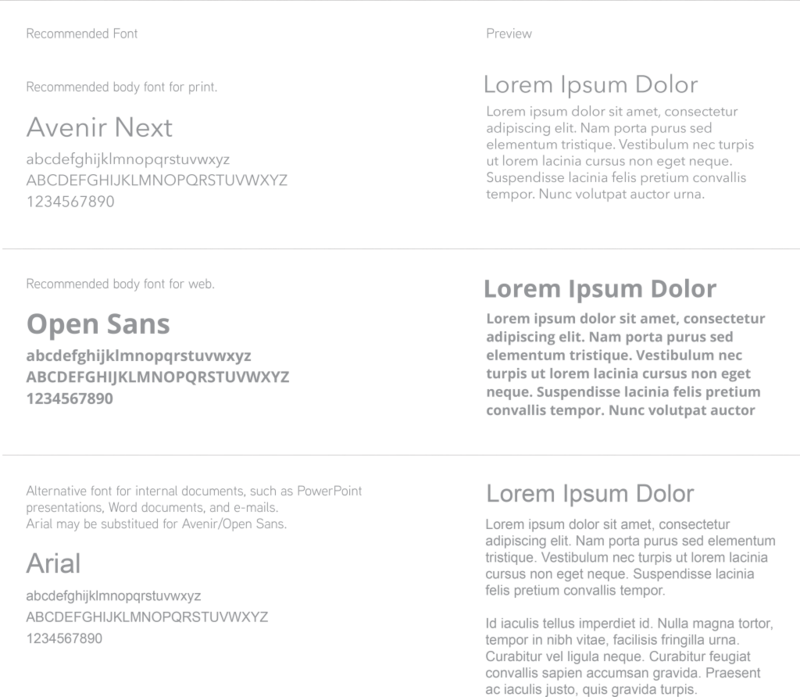 Arial may be used as an alternative font for internal documents, such as PowerPoint presentations, Word documents, and e-mails. Arial may be substituted for Avenir Next/Open Sans.